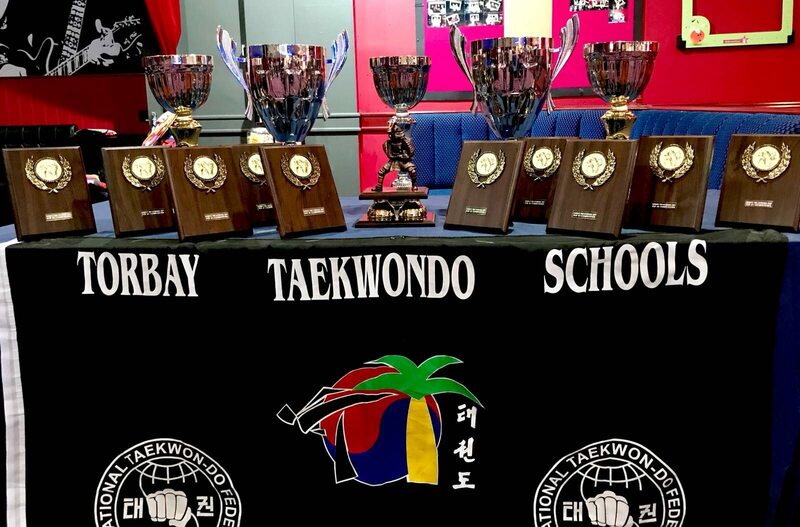 2017 was another amazing year for Torbay Tkd with many colour belt and black belt promotions. Many competitions entered including the Spanish Open in Barcelona. Seminars and many fun activity days throughout the year for everyone. Our Annual party was held at AMF bowling in Torquay where we hired the entire building for the night for our students use only. 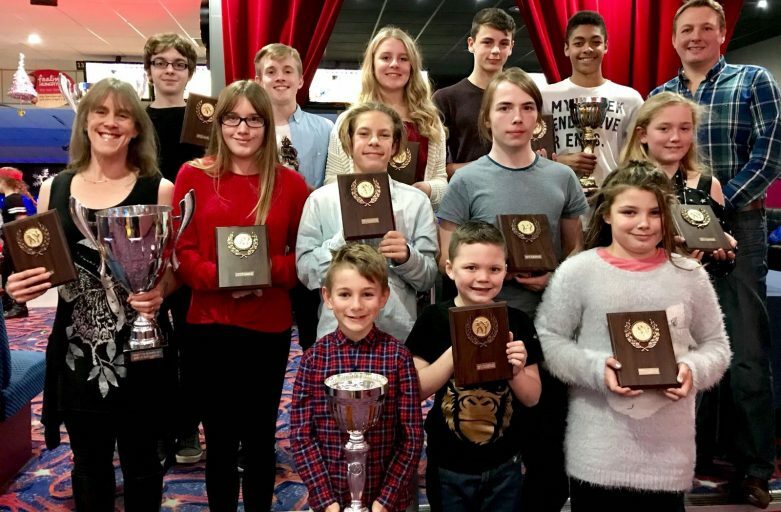 Fantastic night of fun and socialising whilst bowling, laser quest, buffet and presentation of Awards. Torbay Taekwondo Annual Awards Winners 2017 were as follows: Best Overall Adult – Rachel Ratcliffe. Best Overall Junior – Liam Woodward. Best overall Cadet – Jack Sara. Most Improved Adult – Kate Rees. Most Improved Junior – William Arthur. Best Attitude – Jordan Thorpe. Best Competitor – Mason Bierton. 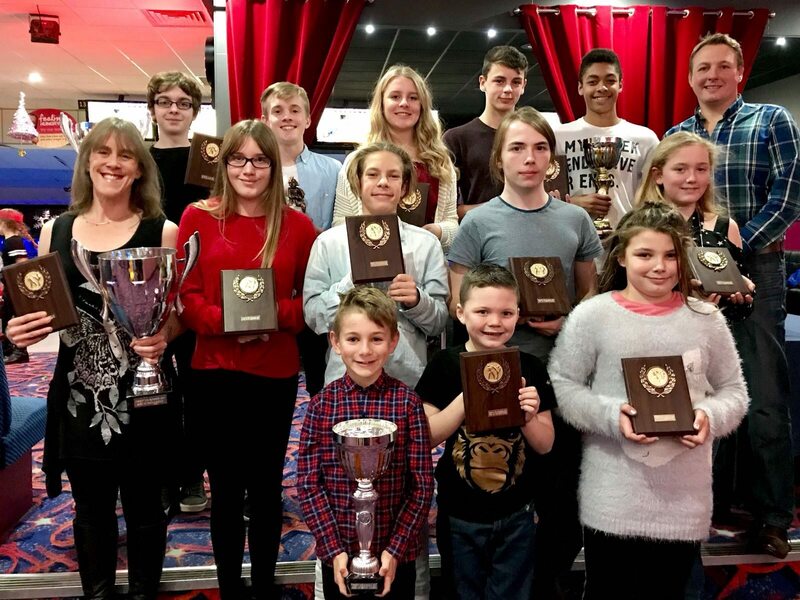 Top Ten Competitors for 2017 were 1st Mason Bierton (86points) 2nd Ben Turner (61 points) 3rd Elysia McIsted (52 points) 4th Olivia Parry (50 points) 5th Alesha Churchward (36 points) 6th Harvey Lane (32 points) 7th Rachel Ratcliffe (27 points) 8th Liam Woodward (26 points) 9th Liz Williams (26 points) 10th Oliver Rolfe (25points). The following day saw our 4 to 7yr olds Annual Party held at Torbay Leisure in Paignton. Torbay Taekwondo’s Little Dragon’s Award Winners 2017. Most Improved – Jack Adams. Best Attitude – Finley Wicks. Best Competitor – Jayden Churchward. 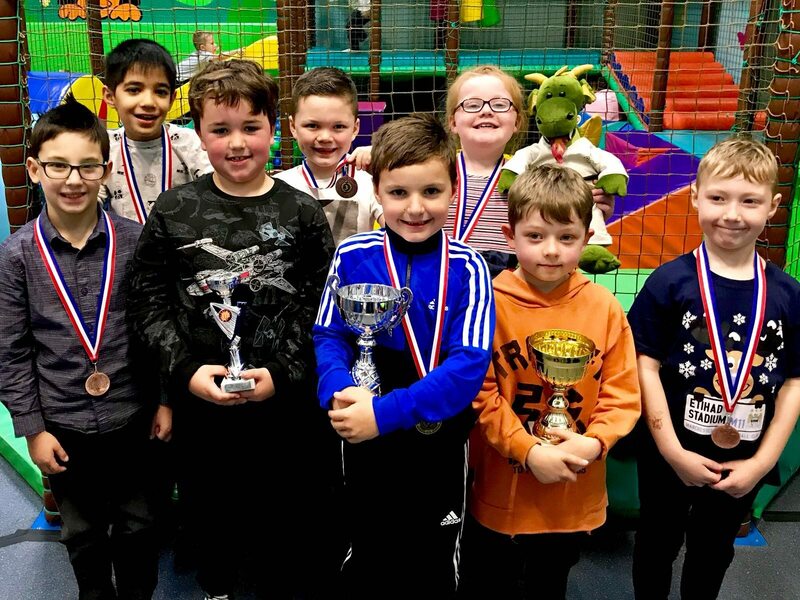 Top 5 Competitors – 1st Jayden Churchward (27points) 2nd Ruby McKay (21points) 3rd Harvey Lane (18points) 4th Devanshu Sinha (14points) & joint 5th place was Ben Bianco & Roman Leonard (12points). We wish everyone a successful 2018 and lets see who is going to get the Awards this year….